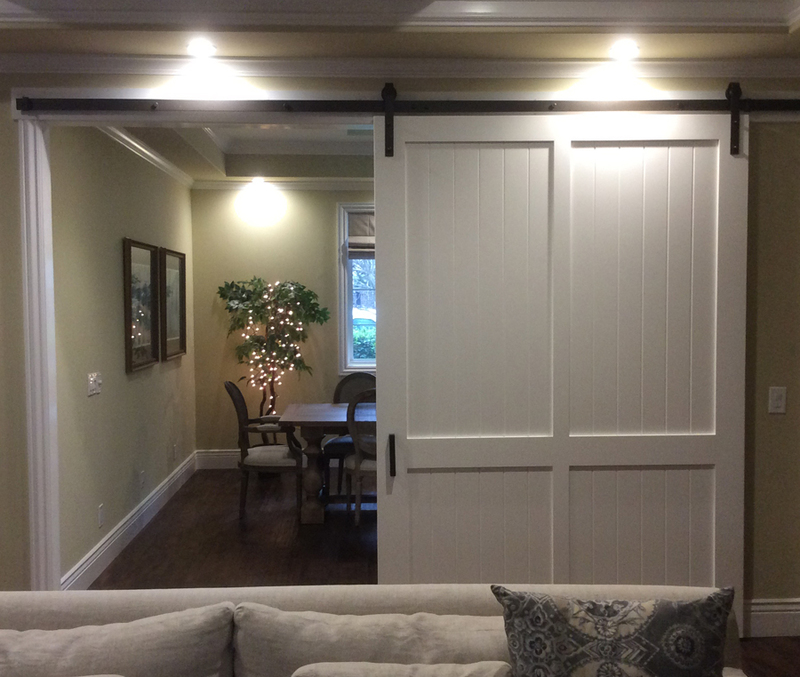 Yesterday we installed our largest barn door yet. 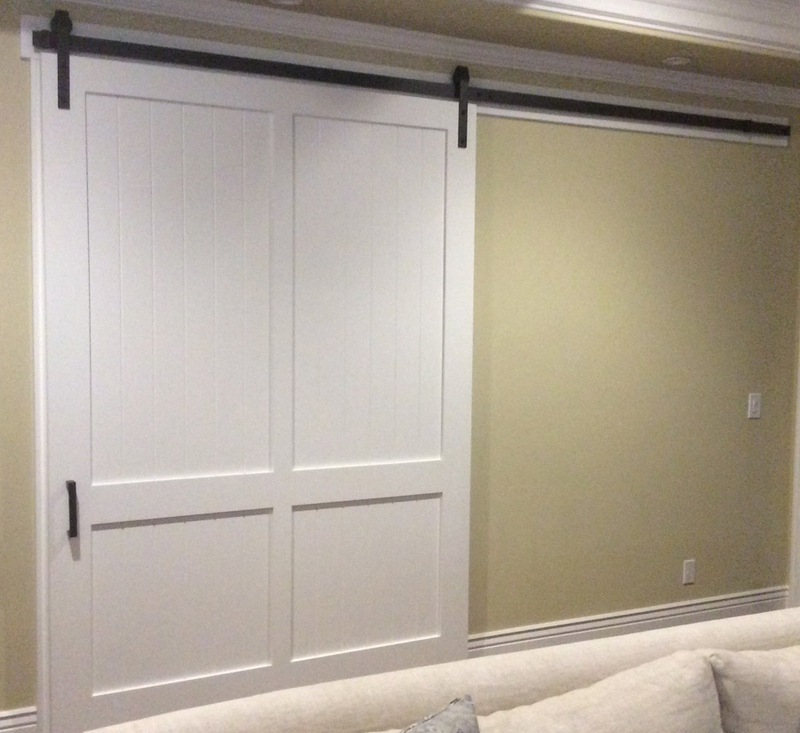 At 64″x97″ and 1-3/4″ thick, this barn door weighed several hundred pounds and required most of the day for four (4) of our installers to complete the job. And the results were amazing, with the happy owner messaging us later about how pleased she was with her new door. 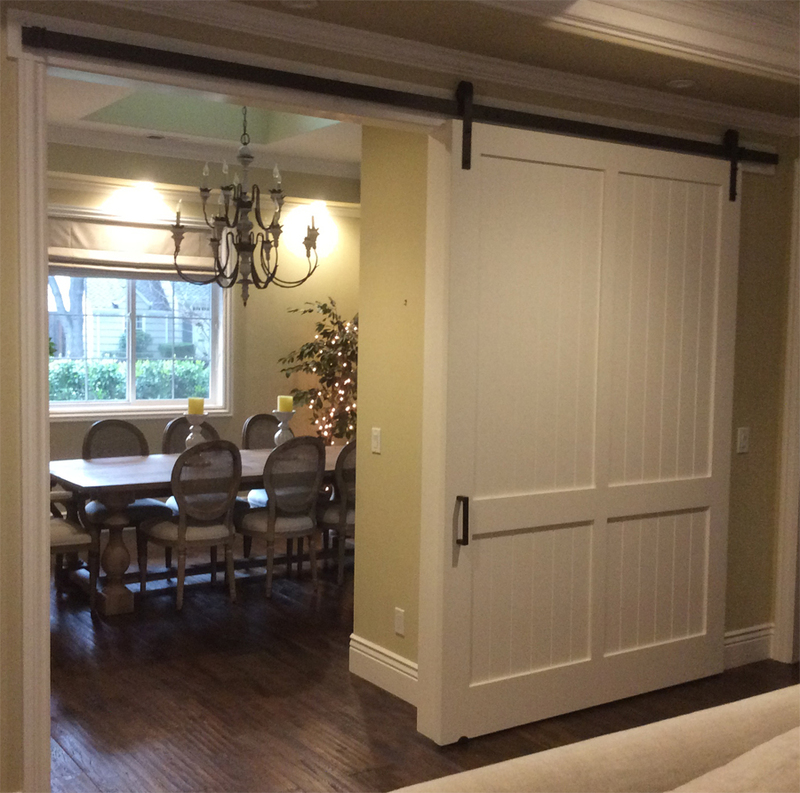 Barn doors add character to a home as a distinctive feature that few other homes have. But they are not easy to install, especially if they are as large and monstrous as this one. 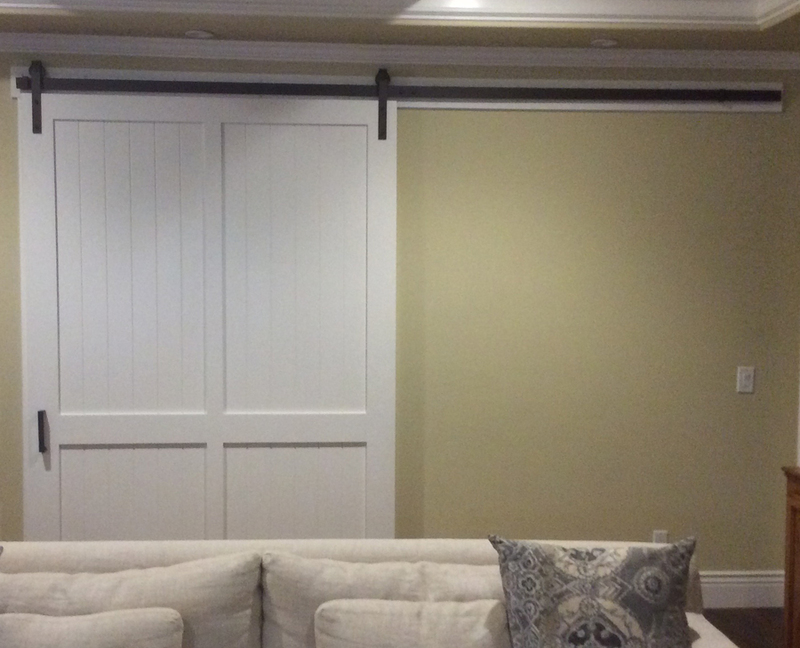 This barn door was a huge team effort not only to install, but also to prepare and paint when we received it in the shop.